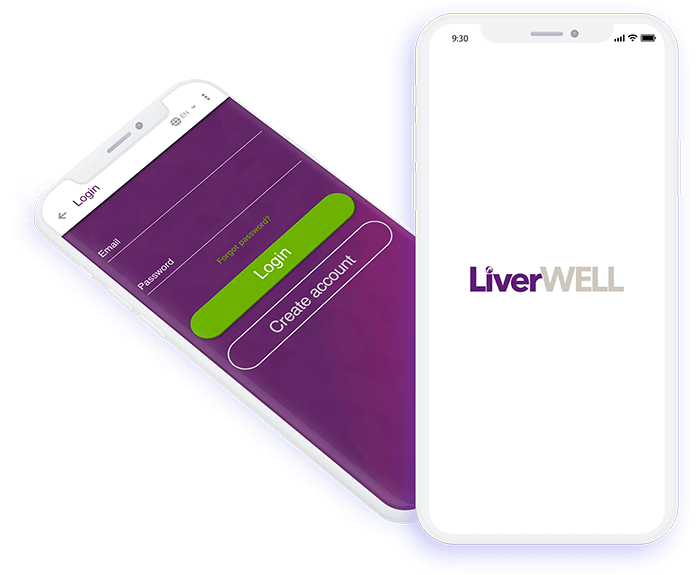 LiverWELL helps people recognize the importance of regular liver check-ups, along with the features to set reminders for doctor and specialist appointments. Furthermore, it helps people with an ongoing or chronic condition to manage their treatment regimes, understand the importance of treatment adherence and provide reminders to take medicines. Build a tool to help monitor and improve user’s liver health. Help users gain a better understanding about the liver and in particular, viral hepatitis. To further provide vital information on how to maintain a healthy liver and learn about treatment and management. Providing information regarding the wellness of the liver and spreading awareness to a wider audience with more impact. Moreover, the people tend to forget their everyday medication and they need to be reminded to take their medicines on time. Also, an appointment with the doctor for health check up is considered to be something most people forget about or in most cases they would ask someone from the family to remind them regarding their appointment and it is more likely that the person asked to remind about the appointment also forgets about the reminder, as such things slip out of one’s minds when you are a part of the fast paced world we are living in today. 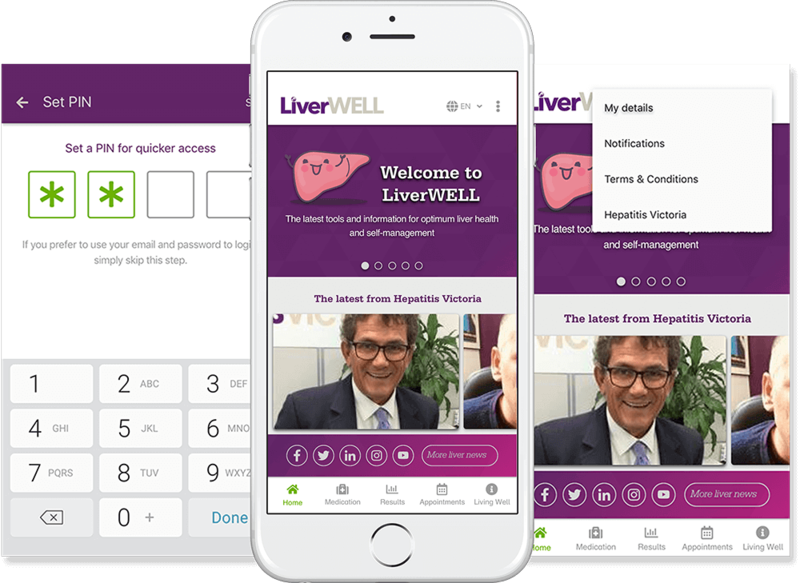 Users can view the different blogs regarding the liver health in the Home menu and can view different options of medication for liver. In the Medication tab, users can click on ‘+’ to add new medication by entering the medication name, schedule, dosage and reminders if any required along with any particular notes about it. Users can also view the list of particular medication they might have previously added. Users can view the list of all the test that they can take in the Results tab, and further they can click on ‘+’ button to add the new test result from the available list of different test and view it later as and when required. Users also have an option to view the list of all appointments they have saved. There is also a feature to add a schedule for any appointment with the doctor by clicking on ‘+’ button in appointment tab and entering all the required the appointment details as required. 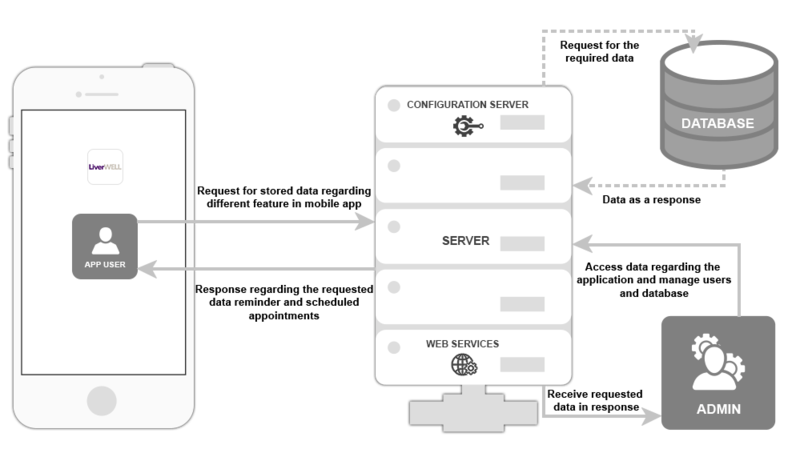 An application was build to make the population around the world to make them aware regarding the wellness of their liver’s health. They can read different articles from the top researching universities for new advancement in the field of medication regarding liver. 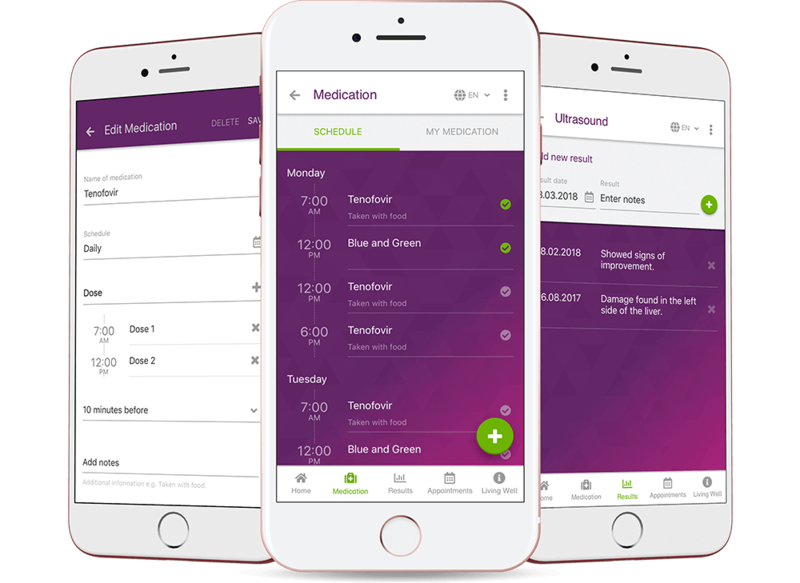 They can also set the reminders for their medicines which they need to take everyday and can also set a reminder for any appointment with a doctor on the particular day which they would not miss.